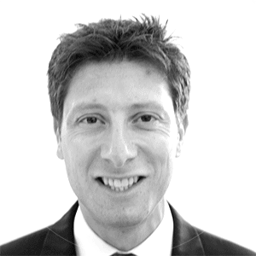 Mark Levine heads up BCL Legal’s In-House department which proudly boasts (cumulatively) 65 years' specialist legal recruitment experience. With a truly national reach, the team is uniquely positioned to focus on London, Greater London and the South East and West; The Home Counties, Central Regions, The Midlands, The North West, Yorkshire and the North East. It also covers international appointments, when asked and anticipates doing much more in the future. Leading an experienced team of consultants, most of whom have extensive specialist legal recruitment skills and professional legal qualifications, Mark and the team have successfully introduced lawyers to clients at all levels, ranging from the most junior Legal Advisor up to General Counsel level. They also work with Company Secretaries, Compliance Officers and Contract Managers, across a range of sectors, including privately owned and listed organisations. Notable clients include Alliance Boots, Astrazeneca, BAE Systems, Balfour Beatty, BUPA, Carlsberg, The Duchy of Lancaster, DHL Logistics, Gazprom, JD Sports, Manchester United, Michelin, Molson Coors, National Grid, Software AG and United Utilities, to name but a few. Mark and his team are committed to helping further develop the in house sector and the lawyers within and the firm regularly run CPD accredited training courses in conjunction with many of the UK’s leading law firms. The courses take place across the UK allowing easy access for delegates. BCL Legal also sponsors and supports the Annual C&I Dinners and Awards, staged in London, Leeds and Manchester. BCL Legal is one of the leading in-house legal recruitment consultancies based in the UK and is proud to be acknowledged as 'the' number one regional legal recruitment consultancy, with plans to become a national and international leader. In just over 10 years they have been successful in introducing 1500 plus In House Counsel. Mark and his team are interested in building long term relationships with candidate lawyers and clients, with whom they work. They work incredibly hard and take time to ensure that they have understood clients and candidates alike, resulting in a strong 'fit' and successful outcome. In fact, 90% of appointees remain in place for an average of 4 years post introduction – demonstrating that the strategy is working! Hiring managers: your legal recruiter needs you to help them to help you!